The print advertisement was designed at Publicis Mojo, Auckland, by creative director/copywriter Nick Worthington, art director Andy Amadeo, account executive Anne Lochoff and typographer Lorenz Perry. 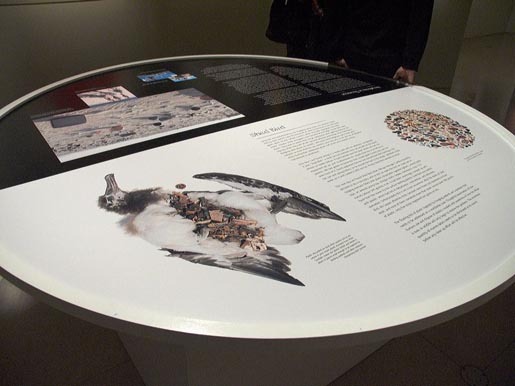 Photography is provided by photographers David Liittschwager and Susan Middleton, who displayed the work as “Shed Bird” at the National Geographic Museum in January 2006. The adolescent Laysan albatross was named Shed Bird for the proximity of its nest to an old Coast Guard tool and fuel shed on Kure Atoll, a speck of land and coral reefs 1,380 miles from Honolulu in the far-flung Northwestern Hawaiian Islands chain. Photographers David Liittschwager and Susan Middleton had converted the shed into a temporary studio to photograph marine creatures for their large-format book Archipelago: Portraits of Life in the World’s Most Remote Island Sanctuary, the culmination of 20 years of work on endangered species. “We’d say ‘hello’ to Shed Bird every day when we went to work,” Susan said, knowing that the young albatross would soon fledge. But Shed Bird never reached the sea, dying from what a necropsy would reveal as a stomach bulging with and perforated by 12 ounces of indigestible items, mostly plastic debris, scooped up from the ocean’s surface by the chick’s foraging parents and regurgitated into its gaping beak along with squid and other edibles. David photographed the carcass. 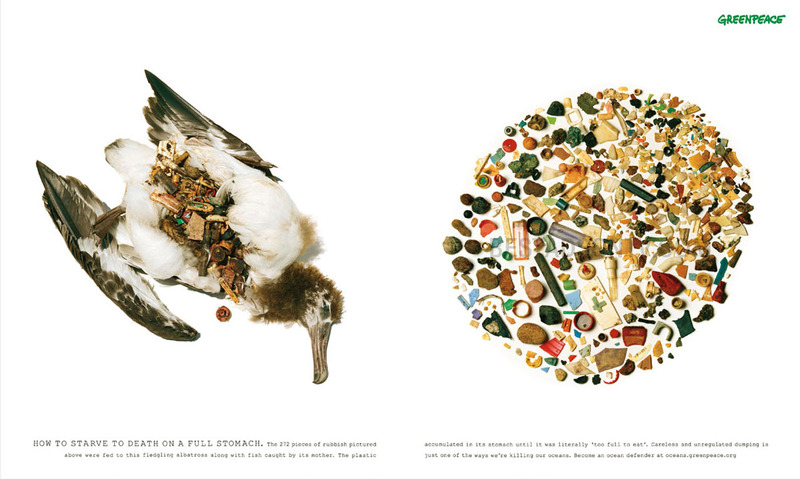 Then Susan removed every item from the bird’s gut—bottle caps, cigarette lighters, hundreds of plastic bits—and arranged them on a sheet as damning evidence of how the North Pacific has become one of the world’s largest and, for surface-feeding seabirds, a very lethal landfill.